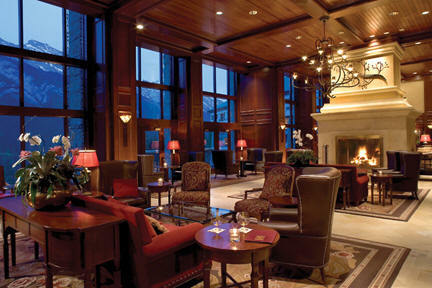 All hotels listed are ideally located in the neighborhood of the Rimrock Resort's Convention Center. $115.00 (per person) This venue is available only for August 14th, as there will be sessions throughout the day at the Banff Centre. Reservation through phone or e-mail. Click here for more information. Hotel reservations will be taken on a first-come-first-served basis. Credit card details are required to secure your booking. One night's room rate will be charged by the hotel if you do not arrive on the first night booked. In the event of no-show, hotel reservation will be released automatically. All enquiries, changes or cancellation of room reservations should be addressed directly to the hotel. The Rimrock Resort Hotel is located in Canada's renowned Banff National Park, in the heart of the Canadian Rocky Mountains. Nestled in a pristine mountain setting above the Banff Townsite, the Rimrock Resort Hotel offers comfort and luxury combined with the most breathtaking mountain and alpine valley views to be found. Banff International Hotel is approximately 80 miles from Calgary International Airport. The property is located in Banff National Park and is within walking distance of the town center. The park makes it easy to go rafting, biking, fishing, hiking, or horseback riding. The streets of Banff are lined with exclusive boutiques and trendy cafes. Only a few steps from the Bow River in Downtown Banff, the Banff Park Lodge features 211 private rooms, many with exceptional views of the surrounding mountain scenes. The Banff Centre is a globally respected arts, cultural, and educational institution and conference facility. For those individuals looking for an Economy Hotel we suggest the following. To book a room, you must deal directly with the hotel. Located next door to the Banff Ptarmigan Inn, just off Banff Avenue, guests have complimentary access to the health facilities and spa of the Banff Ptarmigan Inn, and room service provided by Caramba! Restaurante. Rimrock Resort Hotel: To book a room, please download the reservation form and forward it to the Rimrock's Reservations Department. Payment can also be made over the phone at 1-800-661-9266. A credit card is necessary. Payment can also be made over the phone at 1-800-661-0227. Please quote access code 131582.